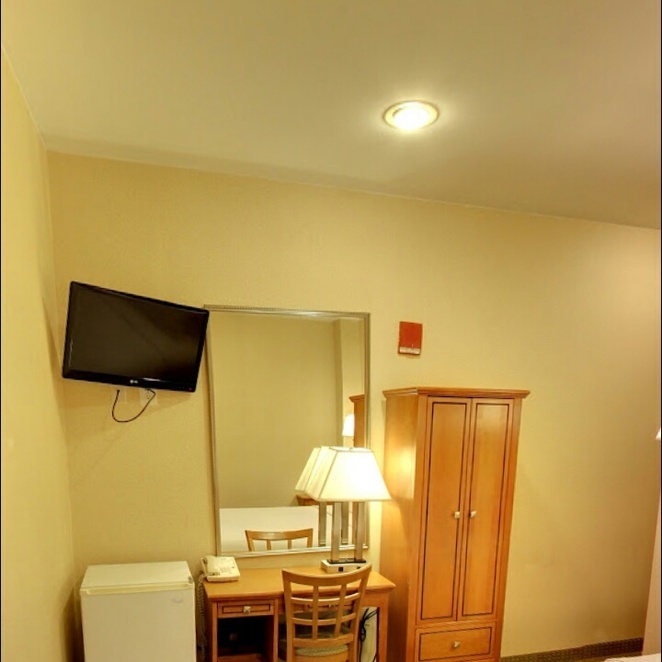 The Econo Lodge Times Square offers attractive small rooms. 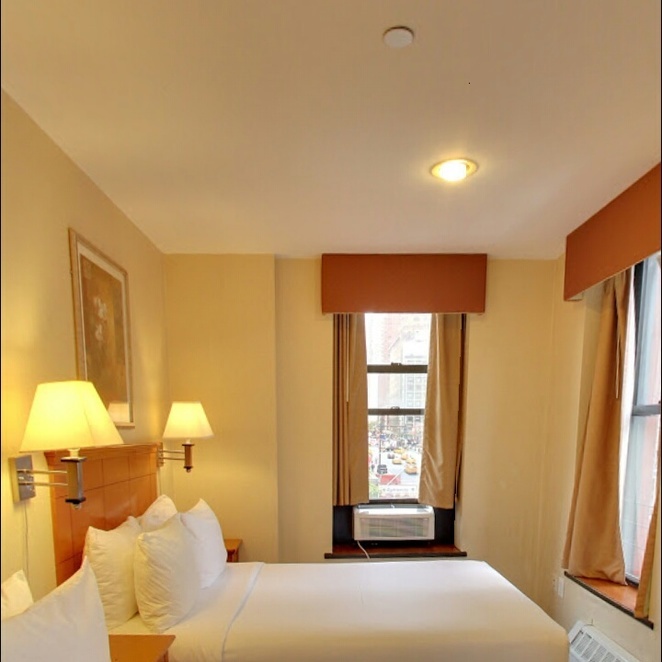 The main attraction of this hotel is its location near the Theater District and subways. 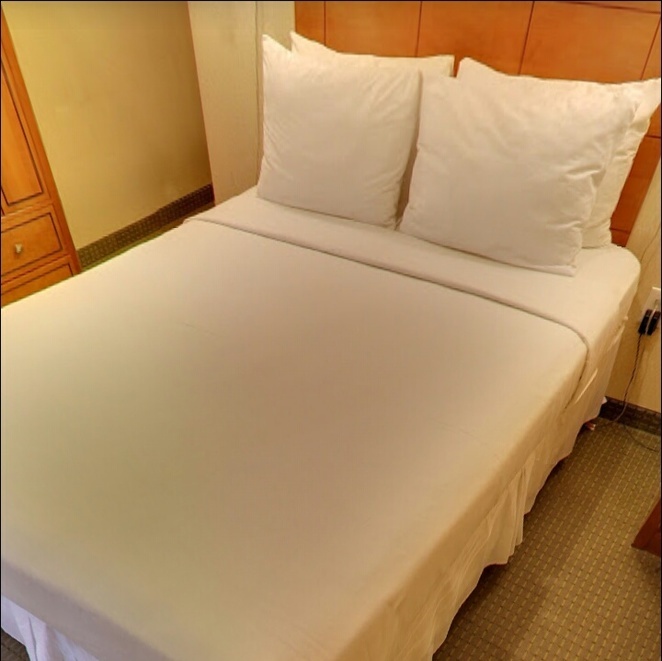 Rooms have a comfortable mattress. A space is so small that it's hard to move your suitcase around the bed. Overall, cleanliness of this hotel is good and a continental breakfast is very good. Lower floors are noisy; the hotel provides earplugs, but those who are light sleepers may request a room on the upper floors. Because of its proximity to Broadway, the hotel generally attracts tourists, but business traveller stops here too. Due to the small size of the rooms, several tenants have noted that the hotel is not very suitable for families with children. The lobby is plain and on the plain side, with hanging ceilings, granite tile tiles, a few laminate tables, and basic chairs. An ATM and computer terminal for guest use can be found in the lobby. All in all, this attractive property does not offer much ambience but is a clean and convenient place to stay. Lacquered wood headboards constitute an exclusive design element in these simple rooms, smaller ones do not provide enough space to slip a suitcase through. Large rooms have a tiled entryway that provides a big storage space; all bedrooms have a small free standing closet, a wall mounted air conditioning unit, a wall-mounted flat screen TV, safe, small desk, shower/tub combo, make-up mirror and a hairdryer. Sinks are tiny, with very little cornice space. Large rooms have mini-fridges. 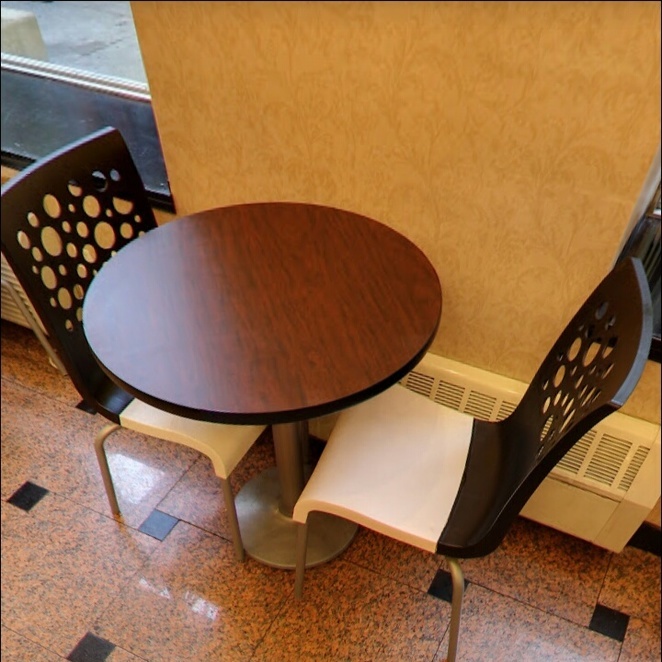 A continental breakfast is served daily in the morning on disposable plates and utensils. 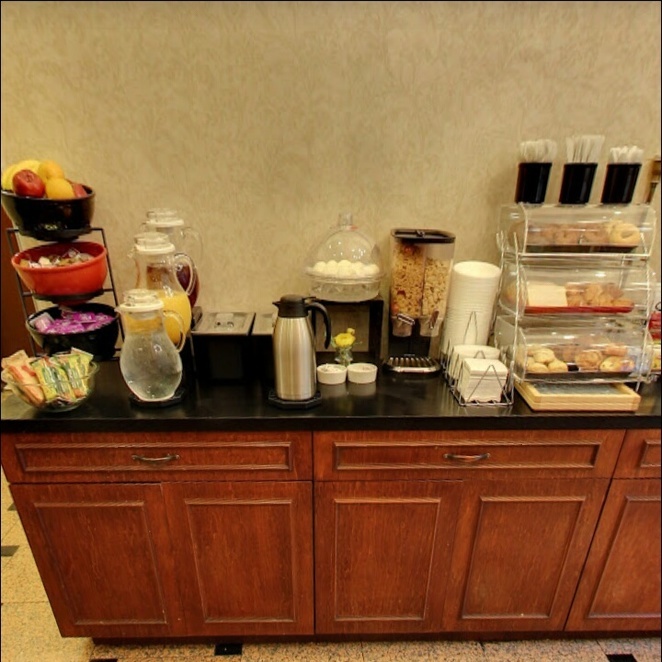 The hotel offers complimentary tea, coffee and ice water around the clock.